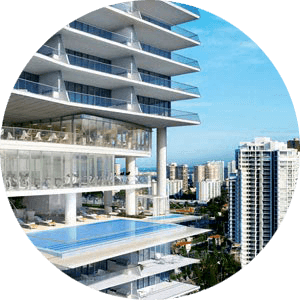 See available Porto Vita condos Aventura. Luxury 2 high rise complexes Porto Vita North and Porto Vita South and townhomes offer spacious condos with a great view. Porto Vita Bella Vista two-tower condominium complexes are Aventura prestige waterfront location. 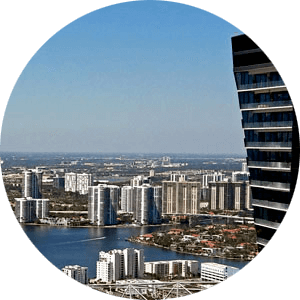 Located on Intracoastal Waterways of Aventura Fl at 19955 NE 38th Ct, 20155 NE 38th CT, 19925 NE 39th PL Porto Vita condos are the one of the most though after locations just outside of the Turnberry Isles. The ultimate in luxury condos and townhomes in Aventura situated on the pristine 18 acres of Intracoastal Waterfront. Please Contact Us or give us a CALL 786-505-4786 if you have a question about the condos in Porto Vita Aventura for sale. To see just the Townhomes in Porto Vita click HERE. The two towers of Porto Vita North Tower and Porto Vita South Tower rises 32 stories above the waterfront, while Porto Vita Bella Vista North and Bella Vista South 7 stories midrise offer limited living and privacy to the residents with direct water views. With breathtaking eastward views of the Atlantic Ocean, Intracoastal and the Golden Beach community of Porto Vita is a prime choice for anyone looking for luxury living with lots of space to spare. Build in 2000 and in 2004 complex offers all the modern luxuries and amenities that today’s buyers are looking for. South Tower of Porto Vita condos is 32 stories and has a 152 luxury condos ranging in size from 2300 to over 4600 square feet,, while the north tower Porto Vita is also a 32 story high it only has 126 condo units which range in size from 2400 to 6500 square feet and two to five bedrooms. This is more living space than some of the single homes in the area. The mid-rise at Bella Vista offers some of the same feature and closer proximity to the waterfront. Designed to offer many different floor plans and layout, Porto Vita Aventura for sale community also offers a hand full of townhouses with two to three stories layout throughout the community. With Mediterranean Architecture, private terraces ranging in size from 3200 to 4000 square feet these luxury townhomes for sale in Porto Vita Aventura feel like a single family home. The community designed and built with the features and amenities that will always be in demand today and future buyers down the road, a place that will never go out of style. Porto Vita and Bella Vista condos for sale are such a place. If luxury carefree living is your lifestyle and Aventura is a place you want to call home than Porto Vita condos for sale is a must see community. Give us a call 786-505-4786 and let our agents help you find a home that will suit your lifestyle in Porto Vita Aventura community.